Obituary for Richard Lee Yohn Jr. | Egger Funeral Home, Inc.
Richard “Rick” Lee Yohn Jr., 56, of Newville died Sunday June 24, 2018 at his home. He was born August 6, 1961 in Harrisburg the son of Richard L. Yohn Sr., and Margaret “Peg” Arnold Morrison both of whom survive. Rick is survived by his wife Brenda Detwiler Yohn. He had worked as a auto body technician. 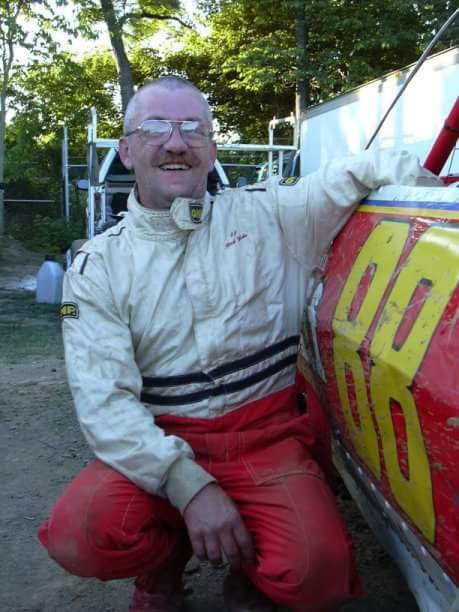 He was a loving husband and father, and belonged to the Duncannon Sportsman's club, he loved stock car racing, spending time at Raystown Lake, hunting and fishing. In addition to his wife and parents he is survived by one daughter Megan Marie Yohn, one son Justin C. Yohn; three sisters Teresa Kirk, Donna Yohn, and Peggy Lee. Three nieces, and two nephews. He is preceded in death by one nephew Ronald A. Kirk. A viewing will be held Thursday June 28, 2018 from 6 to 8 PM in the Egger Funeral Home Inc., Newville. A memorial service will be held at a later date.